Proper drainage is often neglected in residential design and construction, yet it is a very important aspect in maintaining an attractive outdoor environment. With adequate drainage; erosion, washouts and flooding can be prevented. Ponding of surface water damages lawns and expensive shrubbery and trees it also contributes to mosquito population. With the proper drainage, we can eliminate these problems. 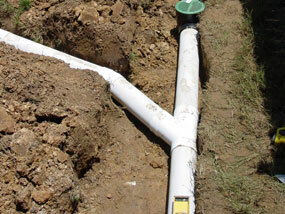 We will ensure that your property will have the best possible drainage. This will guarantee that your property value does not decrease due to improper care.